Writing about Writing « Write, or Else! I think I know what this blog will be now. It won’t be much of a change, just a different approach. I’m looking at ways now to incorporate the exercise and healthy lifestyle changes I need along with writing. I’ll write about the activities and exercises I do to make sure I can write fiction, and about how writing fiction keeps me going back to that exercise. I’ll write about how I’m addressing the issues in my last post, and share some of the writing that comes from the process. I finally feel ready to return to writing. The ideas never stop! I have so many of them, and a terribly slow typing speed along with so many other things demanding my time. But I have to try, and I have to get back out to the writing groups that mean so much to me. I hope readers will find some value as I talk about how I deal with these problems, and how my physical exercise and weight loss ties in with writing fiction. Keep writing. I know I will. Check out this post on Christopher Lee’s blog about me and Far Flung! It’s really great to be featured on his site, and please, pick up Christopher Lee’s book, Nemeton! Oh and Far Flung, too, of course! A post of mine regarding Far Flung on John Robin’s blog, Epic Fantasy Writer! 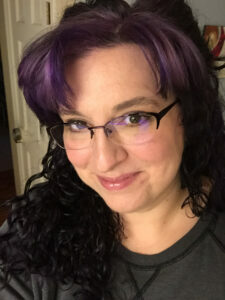 Today I’d like to share more on world-building by means of a guest post from an author I recently connected with—TCC Edwards. You can check out his book, Far Flung, which is has been picked by an Inkshares syndicates and is still funding, at nearly 1/4 of the way to meeting the Quill publication milestone. How many lists of world-building tips, hints, questions, and resources have you seen on the internet? They’re a bit intimidating, aren’t they? Especially when they’re as exhaustive as the queen of all world-building lists by author Patricia C. Wrede, with questions about politics, science, religion, and many more aspects of your fictional world. A short post and a late one for the Insecure Writer’s Support Group! if you’ve never heard of them, the IWSG is a huge group of bloggers who talk about the neurotic dangers of writing. Be sure to look around the huge list of blogs – there are always insightful and useful posts and helpful people. I surprised myself with my writing for the Busan Writing Group, my local writing club. I was always certain before I fond them that sci-fi and fantasy would be my writing mainstays. When we got an anthology together for the first time, however, my story had no fantasy at all. It was a touching tribute to the loneliness of an expat’s first time in Korea, and an odd, sad love story. Shortly after, I had my first story published outside the BWG, and it had no fantasy or sci-fi at all either – just a confrontation between nephew and aunt over a dark secret. In following anthologies, deep personal themes made up the basis, with fantasy in small doses. I’ve had a taste of a style I didn’t even realize was in me – a more literary, realistic scenario with the fantasy working its way in gradually. I still write full sci-fi and fantasy (as a glance around this blog will confirm), but for short stories, I think I’ll further explore this ‘realistic’ style and see how the weirder ideas play into it. Be sure to read the preview chapters & tell me what you think! Consider supporting the campaign – your support will help me put this in the hands of readers everywhere! When I last previewed Human Resources by Robert Batten, it was still in funding. Human resources is now a pending novel, slated for release early next year. It won the Launch Pad Competition in 2016 and several other awards – check out Batten’s blog to see all the distinctions. The premise seems nice at first – in the future, direct editing of the human genome is possible. Unfortunately, there’s a little side-effect – it leads to the Blight, which turns the infected into bloodthirsty monsters. Humanity nearly becomes extinct, but some are allowed to survive – as long as they remain viable food. Check out the Inkshares page here, and be sure to pre-order a copy from there or grab one from your favorite bookstore when it’s released. Far Flung, my sci-fi epic that’s in the Top 75 of the Launch Pad Manuscript Competition, is in funding now. Everyone who has critiqued and proofread it has thoroughly enjoyed it. I need your support to make sure I come out in the Top 3 on Inkshares. Your support means a lot to me, my family, and my writing career. Is there a book or project you want promoted? When you pre-order, let me know what I can review on my blog and share with my Twitter feed!